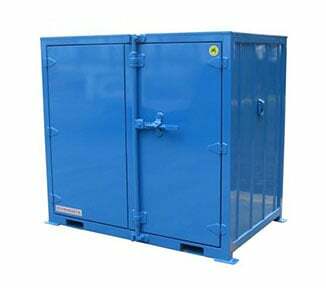 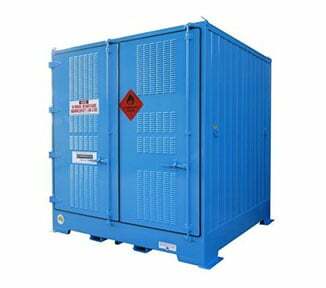 The PR450-A is a two-door chemical store purpose-built for storing Class 5.1 Oxidising Agents outdoors (450 litre capacity). 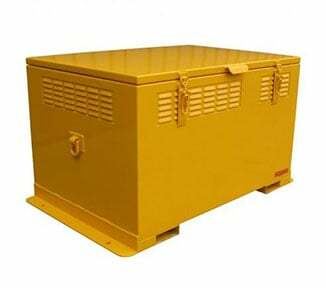 Keep your oxidisers away from flammables and other volatile substances in this fully relocatable (and hard-wearing) cabinet. 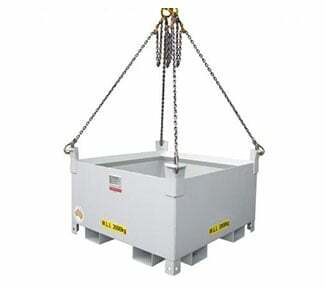 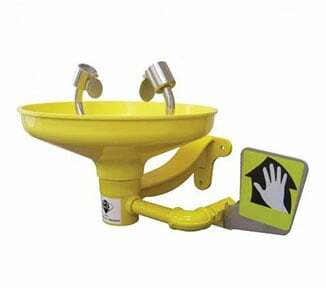 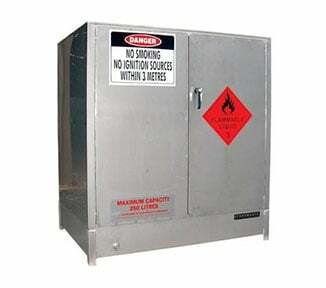 Features of the PR450-A include: high security ISO locking bars that keep unauthorised personnel out of your Dangerous Goods stores; cambered roof and high-tech polyurethane coating that resists both cyclones and corrosion; forklift channels and engineered footings for relocating and securing the store around your job site. 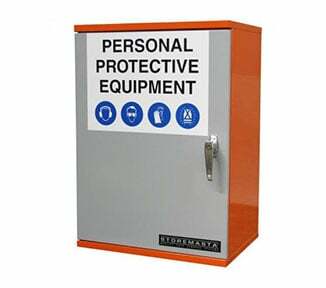 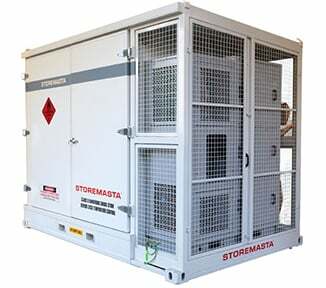 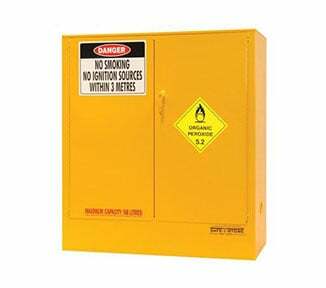 The PR450-A is another heavy duty chemical store in STOREMASTA’s Mini Series — a range of compact Dangerous Goods stores. 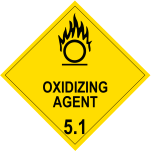 100% Designed and manufactured in Australia by the in-house production team at STOREMASTA: order your oxidising agent cabinet today.